Which Picture Looks More Like the World You Live In? This is great, at least until one of your contacts leaves the ‘Account’ they’re connected to and moves to a different company, or until a customer comes along who's just an individual consumer so doesn't have any company to ‘belong’ to. 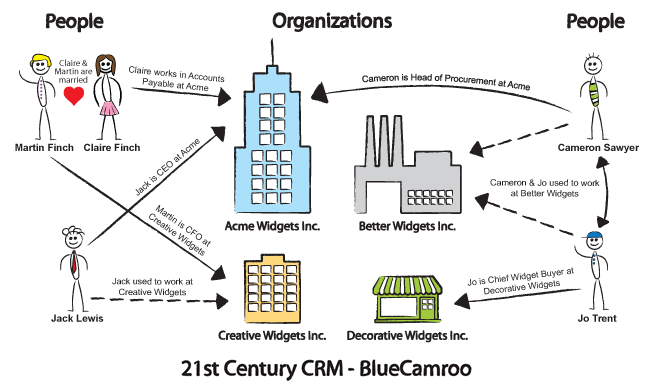 BlueCamroo's patent-pending CRM approach and architecture is built for the real world in the 21st Century - a world where people move from job to job, or freelance with several organizations at the same time, or sometimes buy from you on their own account - not on behalf of a company. With the rise of Twitter, Facebook, LinkedIn and others, your customers are connecting and communicating more and more through online social networks. And they expect to communicate with you there, too! BlueCamroo is a fully Social CRM, meaning you can view social network updates from all your contacts and respond directly from right inside BlueCamroo. What's more, you BlueCamroo can help you monitor social network 'buzz' to pick up on sales opportunities and catch customer issues before they spread. 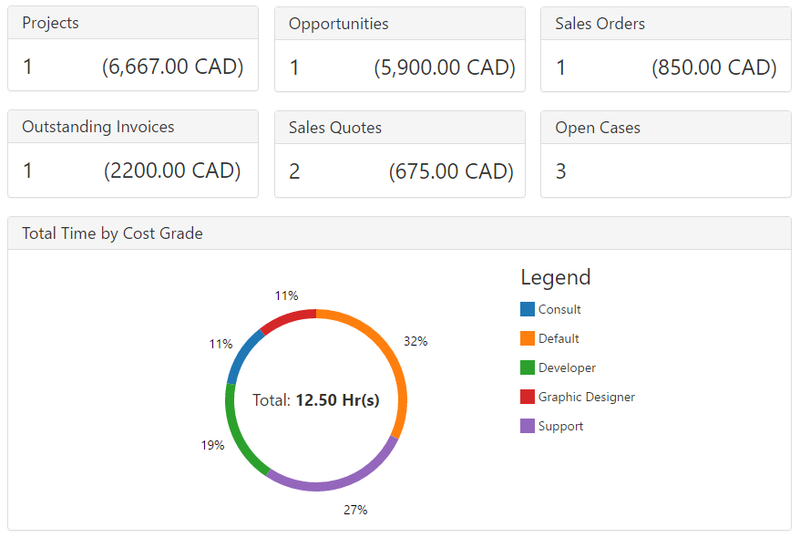 BlueCamroo is not just a CRM system. By integrating Project Management, Collaboration, Tasking, Customer Support, invoicing, time tracking and more, BlueCamroo gives you a single solution to replace multiple unconnected systems, helping all your team to work better together. And with BlueCamroo's low monthly costs, you could save money too!